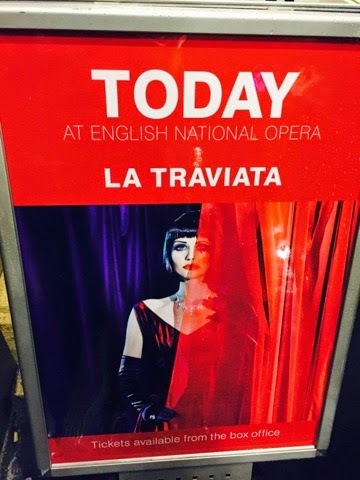 Last Friday Paul, Stuart and I went to see La Traviarta at the London Coliseum. Peter Konwitschny's production at the ENO was well sung, well-acted and funny. Giuseppe Verdi’s tragic masterpiece of The Fallen Woman runs for 1hr 50mins without an interval and starred Elizabeth Zharoff as Violetta, Ben Johnson as Alfredo and Anthony Michaels-Moore as Germont. Violetta ending was by conspicuous by its consumption. Nobody leaves until the thin lady sings.